Hummus has been a staple in Middle Eastern cultures and cuisine since the 13th century (thank you Wikipedia). 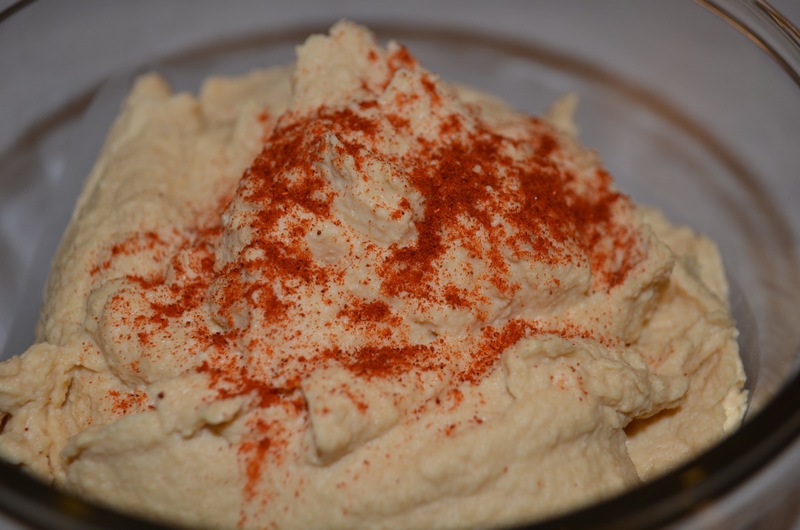 The english word for hummus came from the turkish word humus meaning food dip or spread, which derived from the arabic word himmas, meaning chickpeas. The earliest known attestation for hummus in English is in 1955 but gained popularity in the United States in the late '90s. 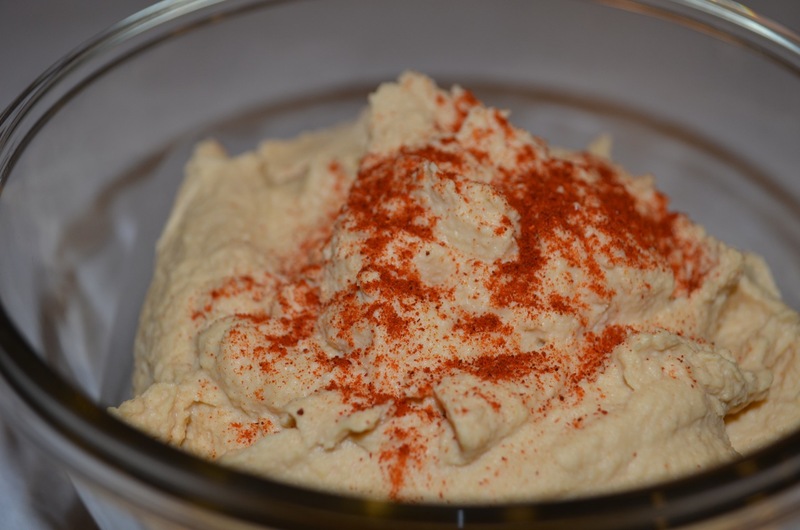 In 2010, a market research study indicated that hummus consumption increased by 35% over a period of 21 months with sales reaching $300 million. Whoa!!! Commonly made of chickpeas, sesame seeds, lemon and garlic, my favorite part about hummus is that it is high in protein and fiber and actually becomes a complete protein when eaten with bread. Unfortunately, purchasing hummus in a grocery store can become quite expensive. 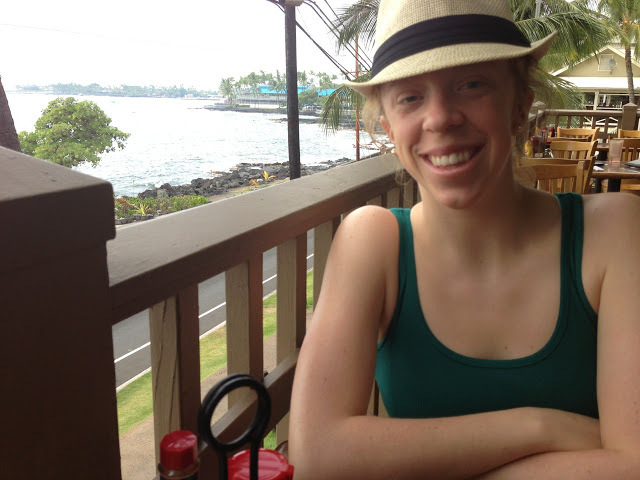 When I began eating hummus on a regular basis (obsessed to an extent?? ), I realized how much money I was spending on such a small container. 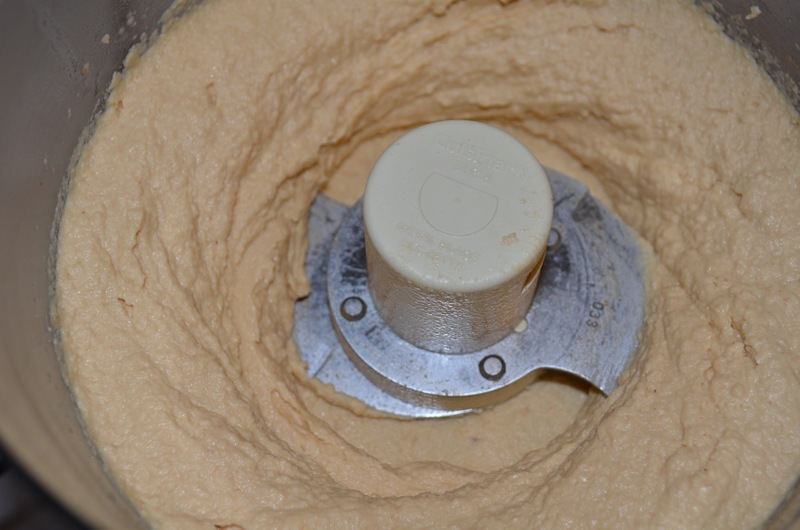 So, I quickly figured out how to make hummus on my own. After experimenting with a number of recipes, I came up with the recipe below, which I often modify slightly depending on the weather, my mood, items in my cabinets and fridge, etc. This recipe is spicy, creamy and the perfect compliment to carrot sticks, celery, on sandwiches, as a dip, as a spread...I even used this as the filler to deviled eggs once. 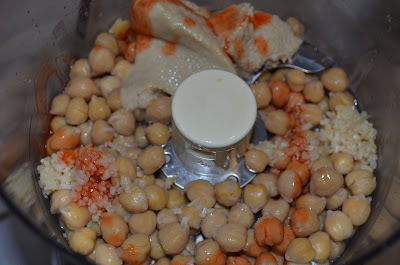 Place all ingredients in food processor (except salt, olive oil and paprika) and process until the hummus is coarsely pureed. Look at all that garlic...yum! Add salt gradually, stopping to taste test the hummus as the salt is added. The hummus will become smooth and creamy. Continue to pulse until desired consistency. Scoop into glass container and drizzle with olive oil (I omitted this step) and sprinkle with paprika, if desired. Store in refrigerator. The hummus will save in a sealed container about 4-5 days.